On one of the days, while we were staying in France, we took an adventurous drive from France to the nearest Italian border. Not really for a specific reason but just because. Okay. maybe I did want to eat fresh pasta and gelato ice cream in Italy. 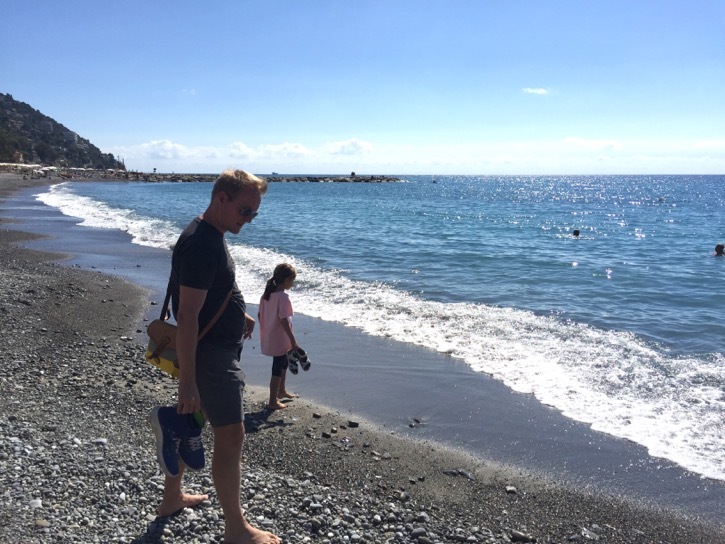 We had no idea how it was going to be and totally got lost in a crowded little Italian town... but eventually found ourselves at a nearly deserted Italian beach resort after their summer holiday. 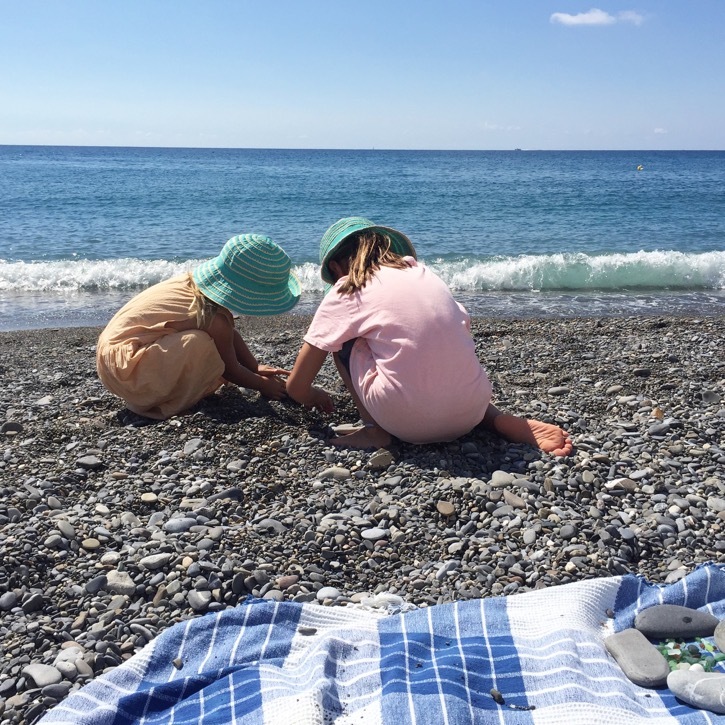 We were so excited when we finally got to stretch our legs at the beach and girls went straight into rock hunting and swimming. 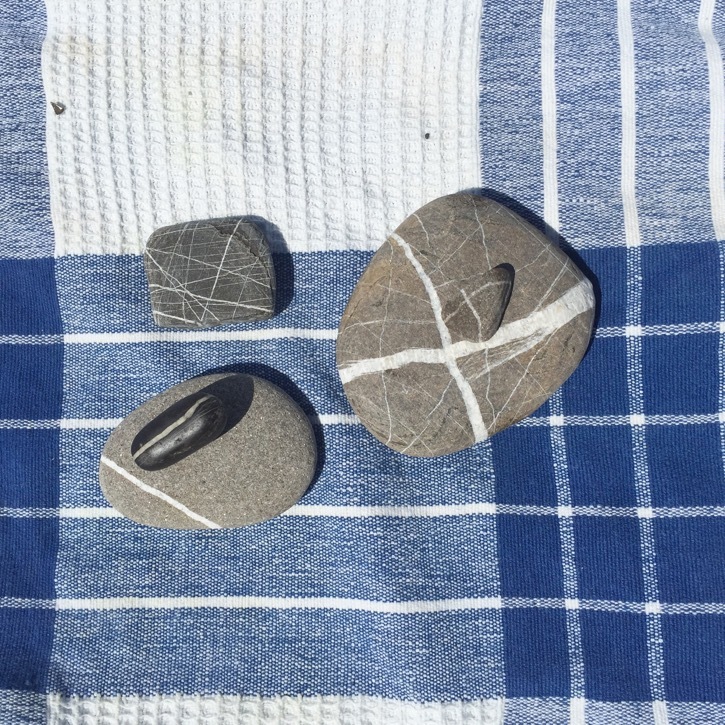 Oh, the pebbles at this beach were amazing. We are frequently so inspired by nature at home and on the road and I am so thankful that I can pass the gratitude towards nature to our girls. This is our 2nd year of our homeschooling adventure and I am definitely starting to see what it makes our family's learning richer. Preserving a lot of open time, space and fresh air around them definitely come to my mind as one of the few key ingredients wherever we are!